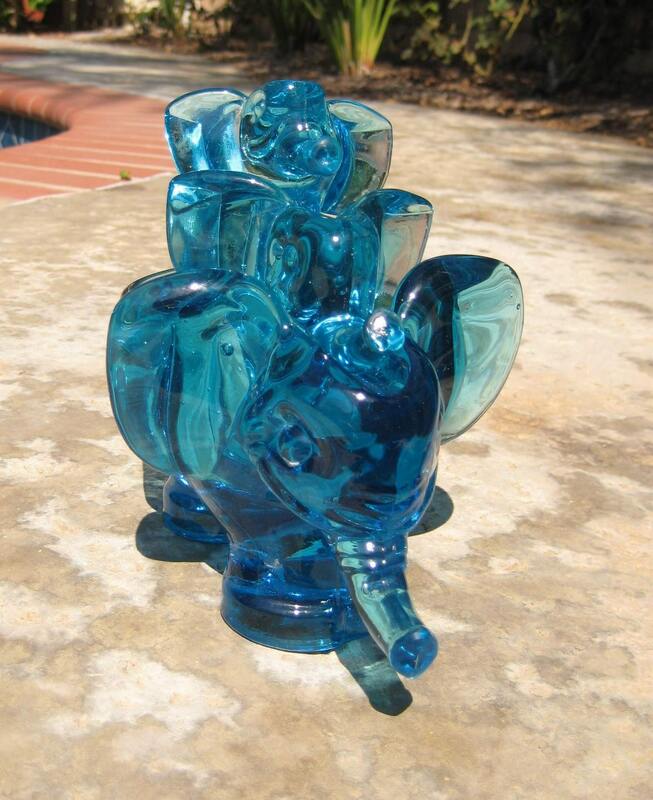 I love elephants, but while I don't need to be inundated with them, I enjoy finding unique and fun elephant items. 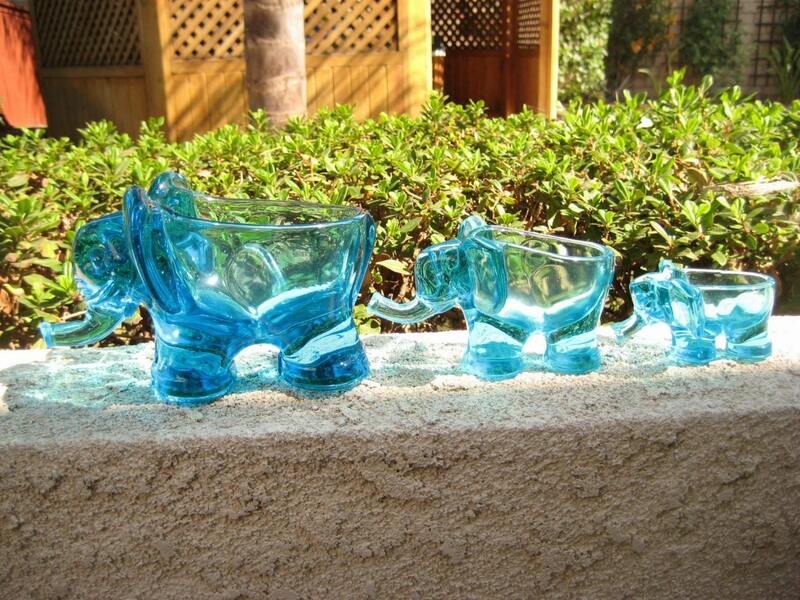 Recently I was doing one of my hour long browses through Etsy.com and I came across these great vintage glass, nesting elephant bowls and fell in love. Lucky for me, my husband got them for my birthday! Right now they are sitting in the kitchen, but I can't wait to use them for a dinner party! Or maybe in our office holding various things. There's just so many ways to use them! 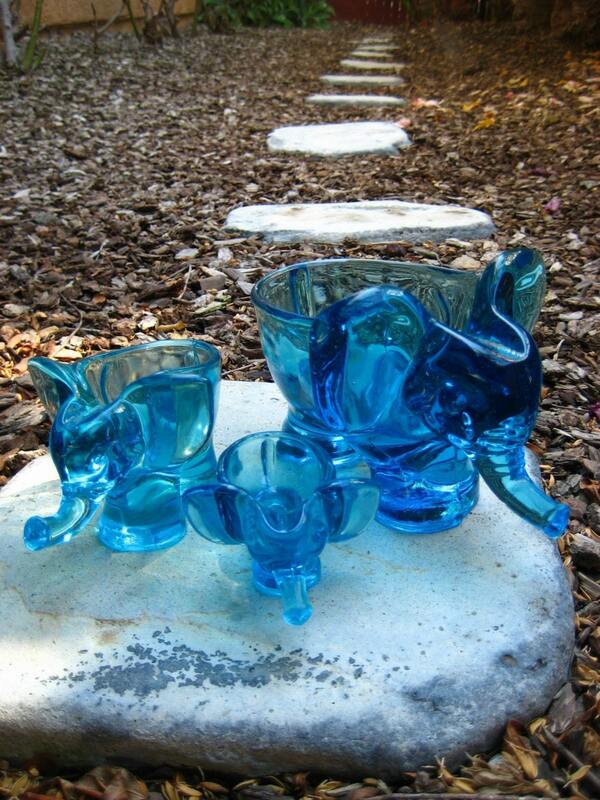 Oh and they are such a beautiful shade of blue!